Our club has some great scholarship opportunities available! We have connections to LAUSD/Beyond the Bell scholarships, community funded scholarships and scholarship foundations dedicated solely to BGCV members. Last year, our club awarded a little more than $20,000 in Scholarship money to our graduating seniors. The deadline to apply for these is in May. ​The Wise Family Scholarship Foundation was established in 2008 by former Boys & Girls Club of Venice board president, Michael Wise. The scholarship is $2,000/year and renewable for up to 4 years for a total of $8,000. Current high school seniors who are members of the Boys & Girls Club of Venice and who plan to attend a 4-year university or community college are eligible to apply. Four students are selected per year based on merit. 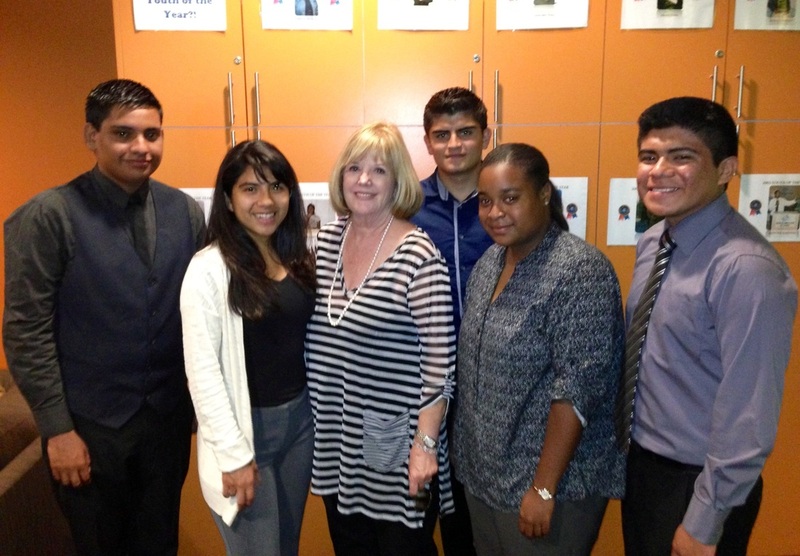 The Ruth Wells Scholarship was established in 2013 by former Boys & Girls Club of Venice board member, Pat Kandel. Several one-time, merit-based scholarships are awarded per year for $1,000 & $2,000. Current high school seniors who are members of the Boys & Girls Club of Venice and who plan to attend either a 4-year university, community college or vocational program are eligible to apply. The late David C. Mandell was the founder and first Executive Director of the Boys & Girls Club of Venice. Mr. Mandell's widow, Faye Mandell, and his daughter, Arielle Mandell, established the Mandell Scholarship Fund to commemorate his legacy of commitment and dedication to the youth in Venice and surrounding communities. Scholarships awarded vary from $500- $1,000. Current high school seniors who are members of the Boys & Girls Club of Venice and who plan to attend a 4-year university or community college are eligible to apply.